S.O.N. stands for Serving Our Neighbors – Together we’re committed to discovering and meeting the needs that people around us are unable to meet on their own. Whether we’re raking leaves for the elderly or repairing ramps for those who need a helping hand, we’re discovering ways to love on people around us unconditionally. 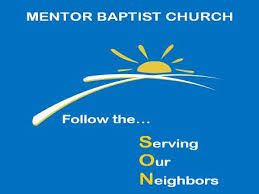 We’re working with the City of Mentor to provide the assistance that our neighbors are seeking! We desire for our Lord to be visible in our lives and through our love!